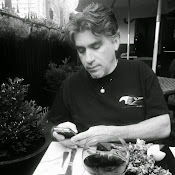 Crisis Chronicles Press recently had the pleasure and privilege of publishing Songs in the Key of Cleveland: An Anthology of the 2013 Best Cleveland Poem Competition. Now the time has come for the 2014 competition, sponsored by Cleveland attorney Tim Misny. 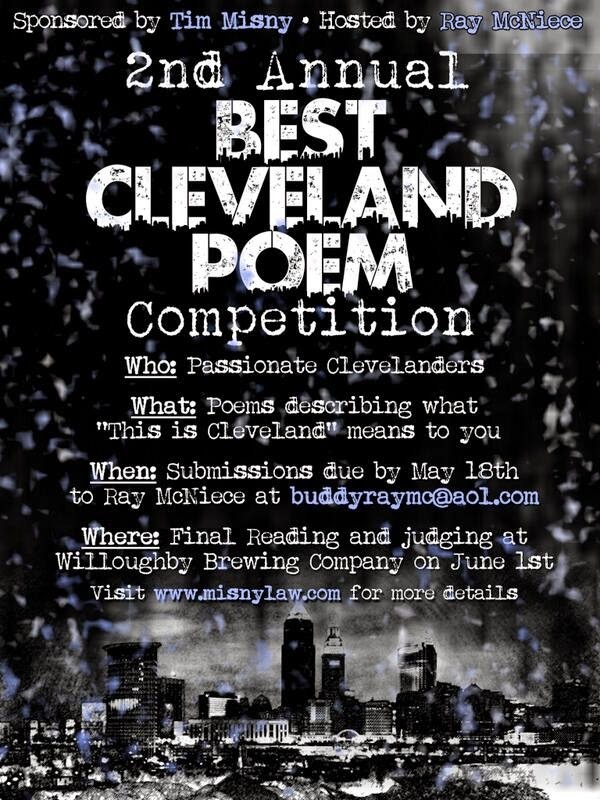 Ray McNiece has whittled down submissions to the top ten (plus three alternates) who will be going head to head at the mic this afternoon (4 p.m.) at the Willoughby Brewing Company. Ray will emcee and a panel of celebrity judges will determine the winner. This year's finalists are Steven Smith, T.M. Göttl, J.P. Armstrong, Dianne Borsenik (who won last year), Jeffrey Bowen, Lee Chilcote, Renay Sanders, Michael Murray, Geoffrey A. Landis, and Danilee Eichhorn. Alternates are Anita Keys, Mary A. Turzillo, and Frances Lograsso. Then tomorrow, we will have our monthly Monday at Mahall's Poetry & Prose event in Lakewood. June's featured authors are two of Cleveland's best poets and known around the world for their writing, teaching and performing. They are national treasures Sara Holbrook and Michael Salinger. An open mic will follow. This is my third month hosting. For more info, click here. Hope to see you there! Both events promise to be exciting! I'm eager to hear all the Cleveland poems today, and I'm so sorry I'll miss hearing Michael and Sara tomorrow (I'm working 12 hours at my day job, alas). Good luck defending your title, Dianne! Wish I could be there to hear this.